If like me you tend to work on a project-by-project basis on your PC, then you’ll probably organise your documents and files into a single folder for ease of access, and accessibility. It can still be frustrating navigating through File Explorer each time you need quick access to the files though, and saving an icon to the folder on your desktop isn’t always the best solution, especially if you keep a lot of icons there already. Fortunately File Explorer in Windows 10 contains a feature called Quick Access which you will see when you open a file explorer window. By default this contains quick links to your most recently used files and folders, but it’s actually capable of much more. 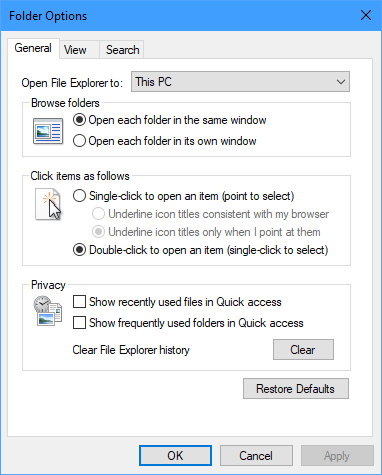 You can navigate to any folder in File Explorer and either right-click it, or highlight it to reveal a Pin to quick access option in the right-click context menu or the ribbon toolbar. This allows you to quickly pin a link to that folder in the Quick access section of the navigation panel, on the left side of File Explorer. Other items can be pinned to Quick Access too, including libraries. It’s also easy to unpin an item from Quick Access when you’re finished with it; just right-click the item and select unpin from quick access from the menu that appears. Opening Options from the View tab in File Explorer will also give you more control of Quick Access. Here you can switch between the Quick Access view whenever you start File Explorer, and the more standard This PC view. You can also prevent recently accessed files and folders from being displayed in Quick Access if you’d rather they not be there, or if you work on sensitively named documents. 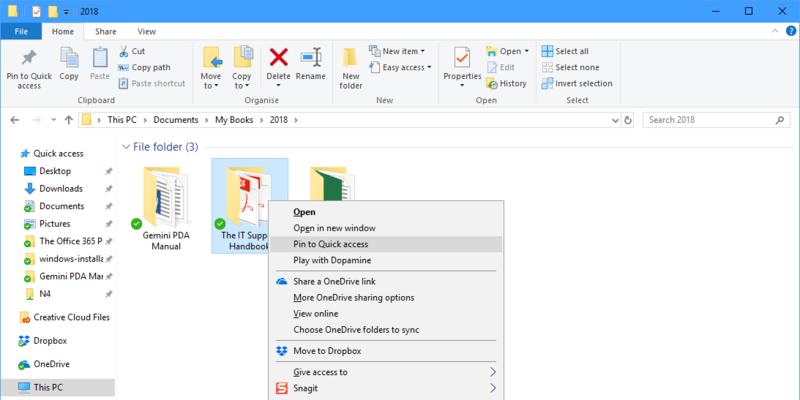 All in all, Quick Access is a highly useful tool that I use every single day, to help me get quick and simple access to the project files I’m working on in just two simple clicks.